Why invest in cryptocurrencies? Where can you buy and then store them? 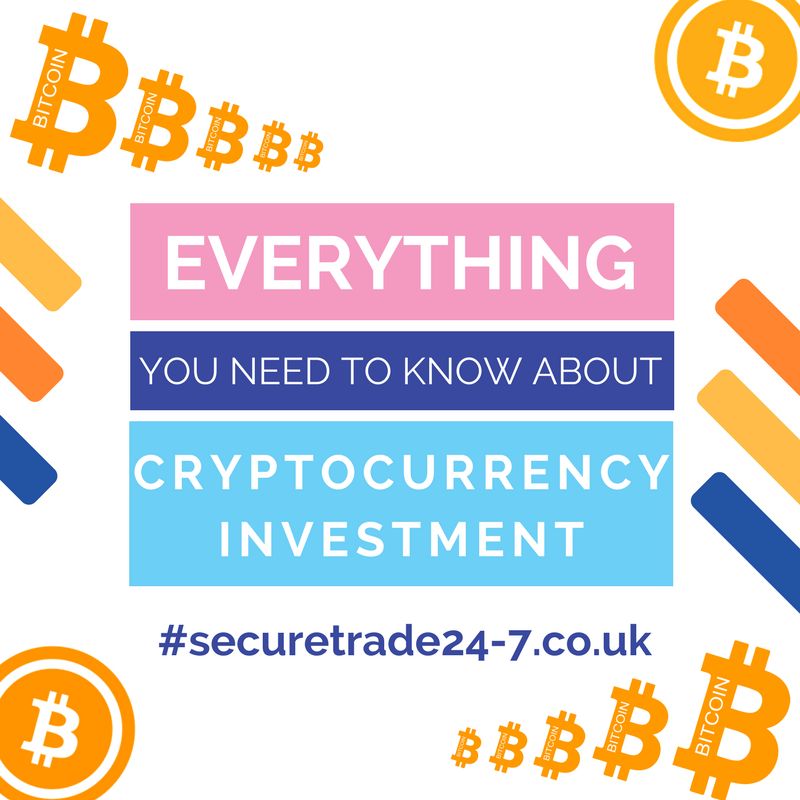 Here is a detailed description of cryptocurrency investment. Bitcoin and Ethereum are the best and the hottest currency investment available. These have promised to be the future non-manipulatable money for the entire globe. These cryptocurrencies in the future might replace and substitute for Euro and Dollar and be the hard world currency. A Cryptocurrency is a digital form of currency created and managed with the use of encryption techniques such as cryptography. This has gained importance since 2009 with Bitcoin coming into the finance market. Bitcoin has drawn the investors and the media around the world towards it with high plunges. It is debatable whether this trend will continue or will cryptocurrencies just fade away? Cryptocurrency has no intrinsic value. The value of a cryptocurrency is decided by the buyer as to what he is ready to pay. Cryptocurrency faces high volatility. So do not invest all your money into this as the risk of losing money is high. Instead look for other options to invest which are better. In 2009 when cryptocurrencies just entered the market it was difficult to procure them. Today, there are plenty of options to buy these cryptocurrencies. To buy these you need to have a wallet or an exchange. These have two features: a private key and a public key. These keys are an alphanumeric character that is a security feature for the wallet or the exchange. Public key is similar to the bank account number. This is to receive deposits to your cryptocurrency. This can be shared with anyone. Private Key is to withdraw money from the account. It is always linked to your public key but you do not use it anywhere. This has to be kept secured. Bitcoin wallet: First just download a Bitcoin wallet. This can be done from sites like the Blockchain.info or any app on your mobile phone like the Bitcoin wallet for Android or the Blockchain Bitcoin wallet for iOS. This just demands two minutes of yours in filling an application form with all your basic information. This is the place where you can store your Bitcoins. It could be a paper or digital or hardware wallet. A paper wallet has both private and public keys. It has to be stored carefully. Hardware wallet is one of the secure ways to store these cryptocurrencies. Digital wallets can be used on phone. Exchanges: Here buying and selling Bitcoins takes place. If you wish to buy Bitcoin you can transfer money into your Bitcoin wallet through debit or credit card or bank transfer to buy Bitcoins from the Bitcoin exchange. Once payment is done the Bitcoins are deposited into your wallet. Bitcoin exchange does not recommend long-term storage of these Bitcoins, hence it is ideal to store them in Bitcoin wallet. With Bitcoin wallet consider security as your first priority. To ensure this opt for a wallet with multiple signature facilities. In spite of all this it is not advised to store Bitcoins in the wallet. Trading with an exchange is very easy. Since exchange is used to buy crypto it is better to not store it there. The ideal place is the wallet for storing these cryptocurrencies. You can transfer all the cryptocurrencies to the wallet. Initially, send a small account and always use a multi-step authentication process to be secure. And these steps are time-consuming. Bitcoins give you a flexible option to pay or receive money from anywhere in the world. There is security for your money and full control too. The personal information is kept secure and identity is not disclosed. Chances of theft are less. The trading is transparent without any hidden charges or any manipulation. This is achieved because the cryptocurrency is secure cryptographically. At present there is no or very low fees with Bitcoin payment. This is being used by merchants to convert Bitcoins into flat currency. 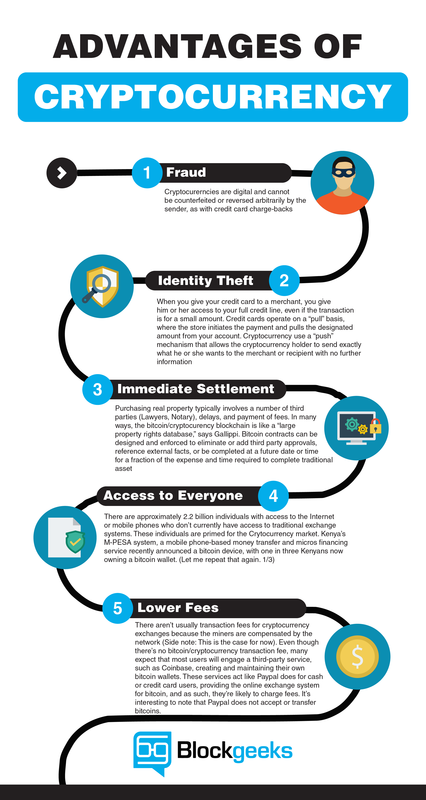 Fraud is minimized with Bitcoins. As the chances of reversal are less, personal information is not disclosed and is a secure payment method the merchants prefer this to avoid any fraud. There is no understanding and awareness about these digital currencies. Not many merchants accept Bitcoins though they are better. The main drawback of Bitcoins is volatility in the market. With a change in the digital currencies the cryptocurrency value also keeps fluctuating. The risk and volatility will gradually decrease as more and more people start trading with Bitcoins. Bitcoin is at the infancy stage and it has to go a long way before it reaches its final potential. Bitcoin is still in infancy stage and as the problems are tackled it can finally be the hard currency in its full potential. Bitcoin has both advantages and disadvantages. The limitations can be easily tackled as the Bitcoins become more and more popular. Since the cryptocurrency have been introduced in 2009 they have gained maximum attention and has been a topic for debate. Majority believe that cryptocurrency can be widely used because of the minimal regulations and no extra charges. This can be used to send or receive money. But on the other hand, implementation of digital currency does not allow the Government to imply taxes and thus the revenue through taxes will be less. This will promote criminal activity. For cryptocurrency to become the centre of the financial world it has to pass several hurdles. The chances of winning the race look remote. By creating proper awareness and understanding of what cryptocurrencies are and the benefits and the risks attached to it, Bitcoins cannot be substitute or replace Euro and Dollar in the near future. As more and more people trade with Bitcoins it will definitely be the best investment option.